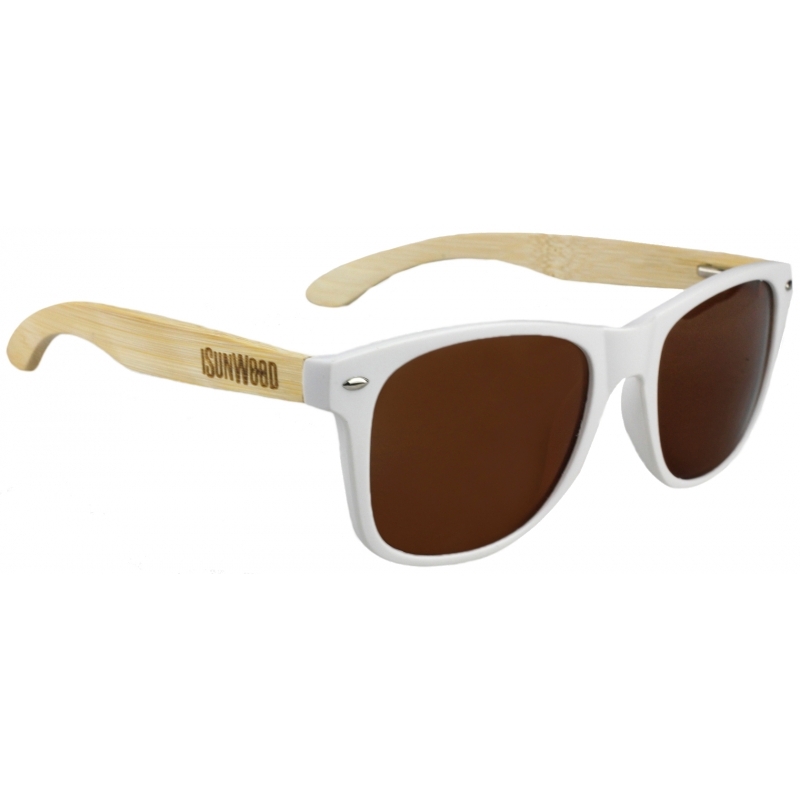 Baix, white body, pin Bamboo and polarized lenses in Brown vintage wood model. iSun Wood marks a new commitment of iSun with the surroundings and the environment. iSun Wood is a brand of hand-made sunglasses which combines the best designs and the use of the best Woods and latest technology and high-quality optics. In the development and manufacturing of each glass is combines the best of artisan traditions with the best technologies of precision in the manufacturing process. All this makes the iSun Wood a product unique and Original that uses sustainable products and that they are really nice and pleasant. 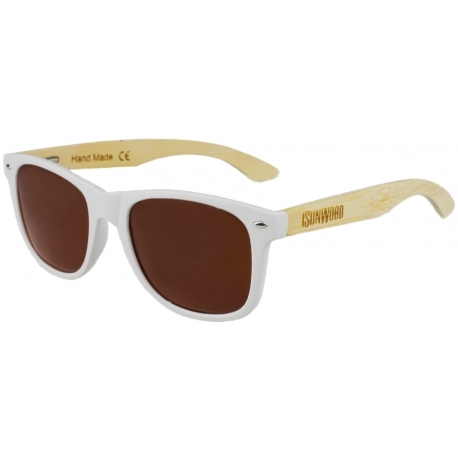 Eliminate excessive glare, so it reduces eye fatigue. Neutralize from reflections of roads, water or snow, so they are indispensable for driving, snow sports and aquatic, ensuring great comfort and a vision rich in contrasts. Ideal for people with sensitivity to light.